Last month marked 25 years of me being a partner at Dingwall Medical Group, astonishingly, consulting from the same room throughout all those years. During this awesome quarter century I have developed many strong and meaningful relationships with my patients, some of whom I did not find easy in the early days, though I’m pretty sure they may have felt the same way about me. However, it is many of these patients of whom I now find myself the most fond. I have grown to understand what matters to them and, having walked with some of them though their medical journey over such a period, get great satisfaction from not only understanding what they most need from me but also learning what they see as of no benefit to them whatsoever. Doctors use the term continuity of care when describing care that is provided by one clinician to one patient consistently over time, providing an opportunity for a relationship and understanding to develop. I value this continuity of care more and more as time goes by. Over the years, I’ve learned that consultations for minor or self-limiting conditions can form the basis for the trusting relationships that can then be established and secured for more difficult, long-term or life-threatening issues. Patients I first knew as babies are now parents themselves and adults who cared for elderly parents are now themselves in need of care. It is a privilege to have walked with them on their journey. I recently grew a beard for the first time in my life, a decision on which many people found they had an opinion. I even received written feedback none too complimentary from one patient. Some might have found this intrusive, but I did not; these comments were the same as my friends made and I took them on that basis and the beard is staying put for now. This praise for continuity of care is not just sentimentality. Evidence published in the British Medical Journal showed that continuity of care saves lives and reduces hospital admissions. They found that where there was better continuity of care patients needed fewer, though slightly longer, GP appointments. This meant patients received better care, including a more preventative approach and, in addition, were more likely to take up the offer of vaccinations and to take their medicines as intended. The GP’s work was easier too, as patients were more likely to volunteer personal or embarrassing information, allowing diagnoses to be made earlier. It is not surprising that patient satisfaction was higher with better continuity of care. But it is difficult to provide in the modern NHS. Bookable appointments won’t be available if they have been sacrificed to provide more same-day appointments for issues that other patients believe are urgent and as a direct consequence, it is far harder to see the doctor of your choice for urgent matters. Continuity of care is also coming under threat from the wider changes to primary care. Primary care is now defined as far more than just General Practice. It includes pharmacists, nurses, physiotherapists, paramedics and others, who people may access directly in the community, rather than by referral to specialist services. The new GP contract aimed to reduce the work of general practice by shifting work to these others in the primary care team, but this will lead to the risk of fragmentation of care, as these professionals do not routinely have access to GP records and their scope of practice is, by definition, narrower. We need the expertise of pharmacists, specialist nurses, physios and others and proper investment in these branches of primary care is long overdue. 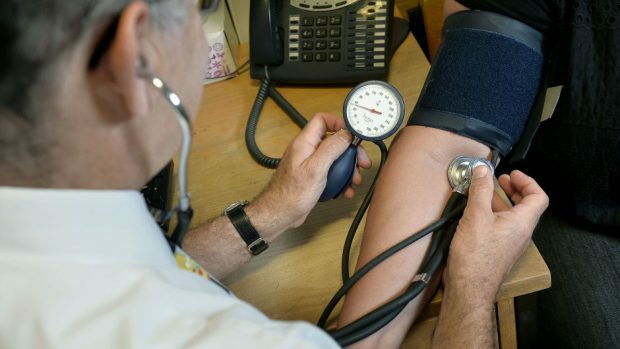 But this should not be at the expense of failing to invest in general practice, in order that GPs may continue to grow their workforce in order to retain their capacity to provide life-saving continuity and whole-person care. All of this is happening at a time when we are recognising how difficult it is to meet the needs of our most complex patients, a group that is growing due to the challenges of deprivation, an ageing population or the challenges of delivering health care in rural settings. This ethic of continuity of care grew from the small scale, personalised care that GPs used to provide 24/7, often in small community practices. Patients’ expectations have outgrown that model and GPs are now seeking a better work/life balance. It is essential to grow the community services in Scotland’s communities but it would be short-sighted and foolish not to also invest in general practice so that continuity of care may continue and thrive.